Glendara was an impressive winner of the Class 5 1300m race on Friday night in the hands of young apprentice Adam Sewell. The Show A Heart gelding was having his second start back this campaign after being beaten 3.9 lengths at Eagle Farm fresh up at the end of last month. After missing the start slightly Sewell took a seat at the rear of the field and waited patiently on the rails until a path opened up the in the home straight before he got to work on him and picking up the leader Miri Miri to win by a length. The win took his career total to 6 from 25 starts with a further 10 minor placings. 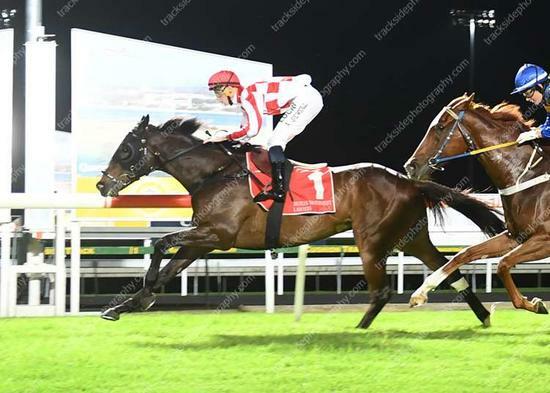 He will now head to Eagle Farm on Saturday for the Rating 80 1500m before Barry plots a path to one of the supporting races on the Magic Millions raceday.